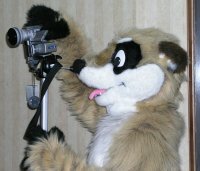 About: Fursuit TV is a monthly internet broadcast. and any topics / themes the video can bring to them :) Don't miss the fun during the show. Watching the broadcast replay is fun but it's even more fun watching it 'live' while beeing in the IRC channel and sharing the fun with other fans. - feel free to send your contributions !